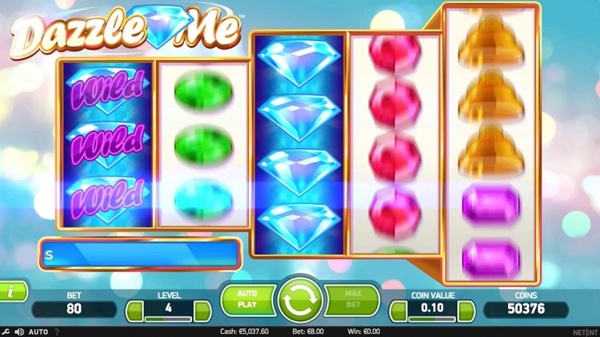 The NetEnt Dazzle Me Slot offers a new take on the classic gem genre from just 20p a spin. It’s different yes, but play slots for real money, and you’ll appreciate the games. With 76 betting lines, linked reels that boost payouts and a built-in free spins feature. Dazzle Me is a new games innovation from Net Entertainment. It offers dazzling wilds, linked reels technology and free spins using a massive 76 pay line platform. It’s a new layout for Net Ent with five reels re-structured to allow greater bets and potential wins with the developer also bringing in powerful Wilds to the base game for added effect. You can play the Dazzle Me Slot from just 20p to £400 per spin, it’s available in free play mode, and they’re telling us it can pay out up to 152,000 coins. Could this be the new Starburst? It comes mobile ready too; Dazzle Me Touch is the smartphone and tablet slot variant whereas desktop players can enjoy the wider appeal of this very colorful and exciting online casino gem. Playing Dazzle Me is fairly enjoyable, on the face and it’s colorful, it sounds good, and the new layout is intriguing. 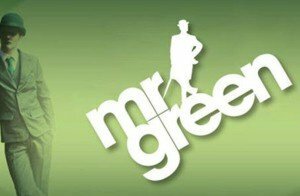 The NetEnt Slots control interface is now well and truly bedded in so betting and spinning flows effortlessly as usual for another 2015 entry from the premium slots developer. If you like Starburst and Twin Spin, Dazzle Me is a blend of both and offers free rollers and high rollers equal access thanks to one of the largest betting/pay line grids available online at 76. Onto the gameplay and Dazzle Me offers a new concept brimming with potentially valuable winning aspects, these include free spins, linked reels, and Dazzling Wilds, all accessible at a very low cost per play. What works for Dazzle Me is the back to basics slot symbols and bonus icons. It’s almost fruit machine looking on the surface with a real sense of classical slots gaming, but incredibly modern underneath with some very efficient software at the helm. The paytable is proudly old school with a collection of 1980’s throwback gemstones acting as the games lower prize tier; yellow bells come next while red sevens top the table. More worthwhile symbols include the Dazzle Me Free Spins Bonus Icon (Free Spins Logo) and the Dazzle Me Slot Dazzling Wild (Big Sapphire Diamond). The paytable structure and symbols are identical whether playing the Dazzle Me mobile slot or the desktop version. Net Ent builds into the game two well-crafted features, an interesting Dazzling Wild Reels concept and a Free Spins Bonus Round, note that the reels can link during the free spins game. First up, Dazzling Wilds can appear anywhere at random on reels 1 to 5 making them incredibly constructive in gaining real money wins, also used in the hugely popular Net Ent Starburst Slot. Unlike standard Wilds that can turn singular rows into pay lines, Dazzling Wilds can turn multiple rows into payouts. The Free Spins Bonus is the second feature and has the capability to link the reels during gameplay, simply get 3 or more free spin logos and you will start this feature. In total, up to 16 free spins can be awarded. Note, linked reels mirror the adjacent reel at the beginning of each free spin and can help increase player winnings. 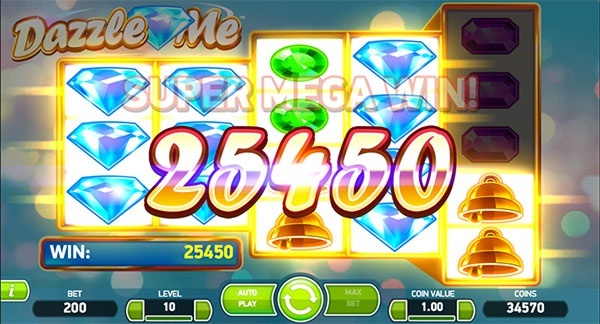 Dazzle Me uses a 76 pay lines with 10 betting levels and a coin value range of 0.01 to 2.00, that’s a spin cost of between 20p to £400 per play for real money slots players. The game offers auto play function, maximum bet facility, access to paytable information and a payout rate of 96.6% RTP. The highest symbol win for 5 of a kind is 200 coins yet Dazzle Me is capable of paying out up to 152,000 coins. If you’re looking for the next generation of Starburst and one that pays tribute to the original fruit machine concept but builds on it too, Dazzle Me is that game. If you’re playing for cash, you’ll get rapid action on spins, explosive sound effects, refined graphics and extremely flexible betting while maintaining a whopping 76 betting lines. Dazzle Me is the perfect blend of old school and contemporary, color and calculation, fun and features. The Dazzle Me Slot is available for both mobile and desktop browsers.